STALLION-Sta. 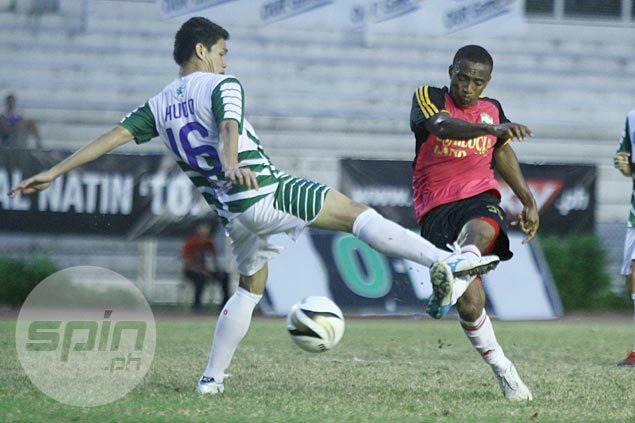 Lucia FC’s new acquisitions lived up to the hype, leading the reigning United Football League Cup champion past Green Archers United, 3-1, in UFL League competition Thursday night at the Rizal Memorial Stadium. Prince Boley and the returning Bo Bae Park helped the ever-reliable Rufo Sanchez lift the Stallions gain the full three points in their opening game. Stallion coach Ernie Nierras also credited another recruit in American defender Jeremy Hohn, who anchored the backline along with Joaco Cañas. “I’m happy with the addition of Jeremy and Prince. You saw how they were able to positively influence the game and make sure we were able to contain the attacks,” Nierras said. Sanchez opened the scoring in the 29th minute before Boley doubled the lead nine minutes later. Former Stallion player Jovanie Simpron pulled a goal back for the Archers just two minutes after halftime, but the Stallions put the game to bed when Park found the back of the net in the 67th minute.